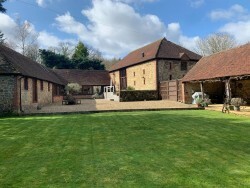 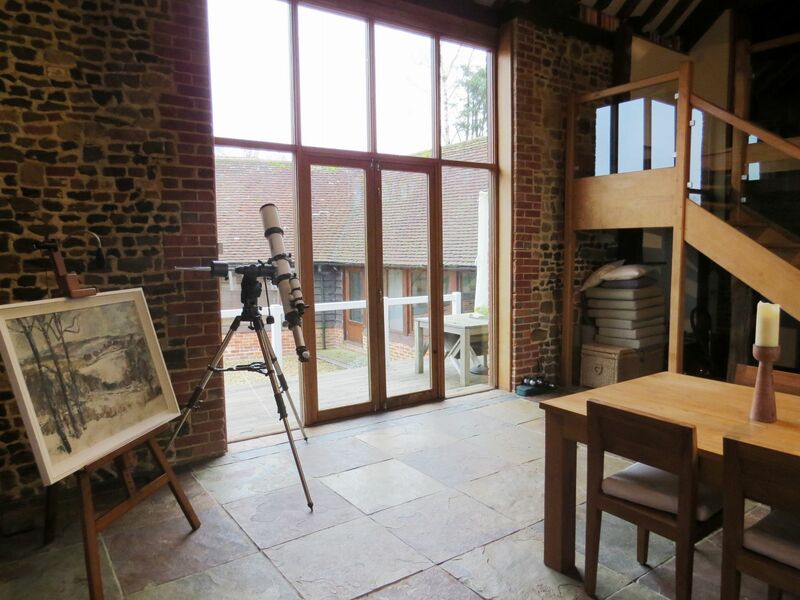 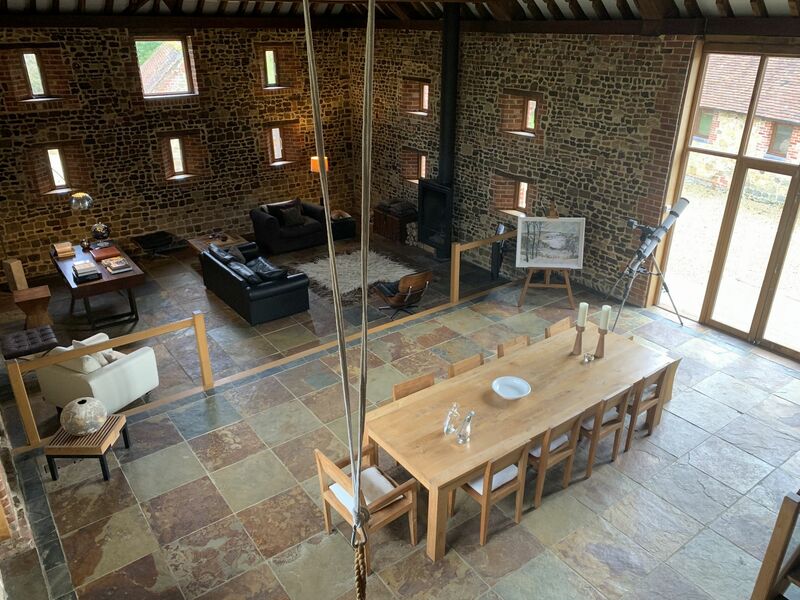 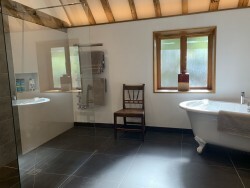 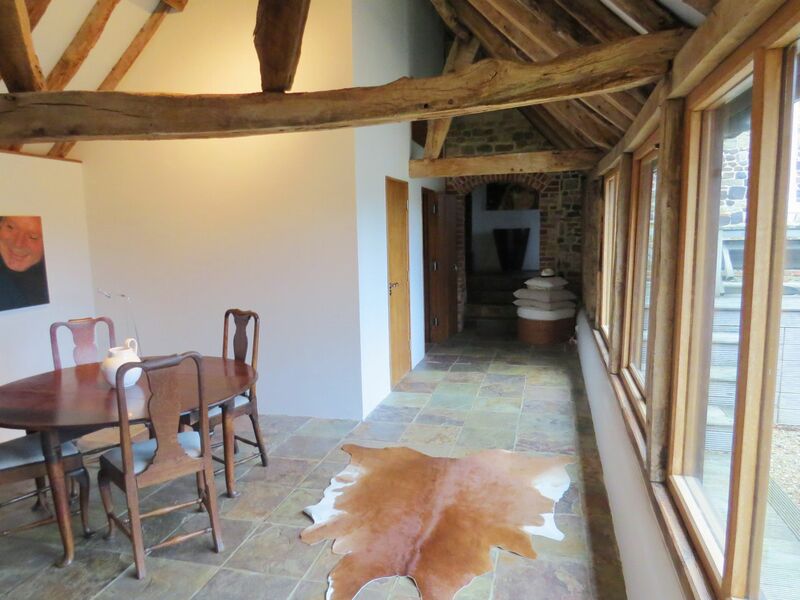 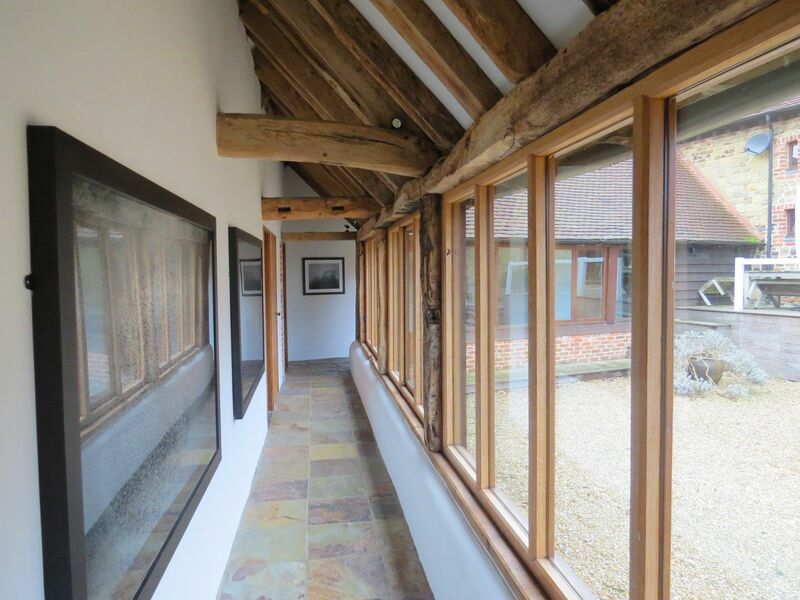 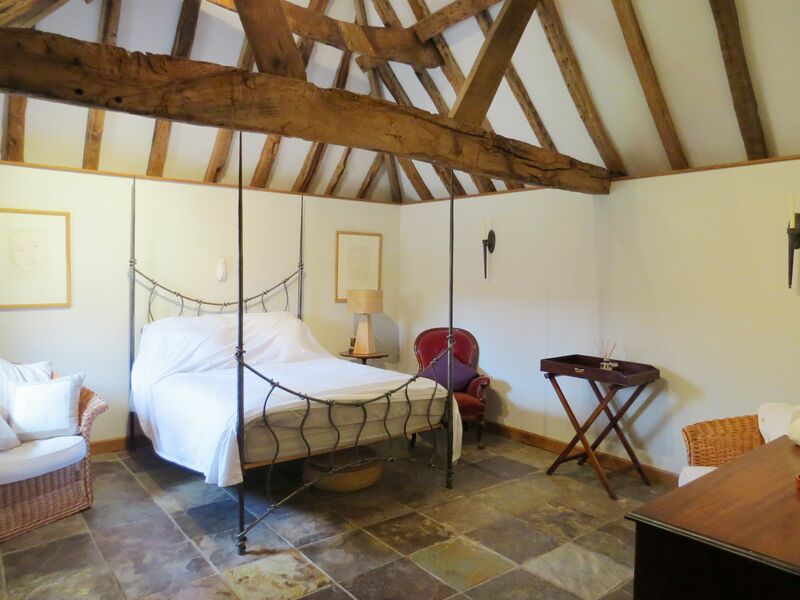 A stunning four bedroom Barn conversion with plenty of living/entertaining space, privately situated in the hamlet of Selham. 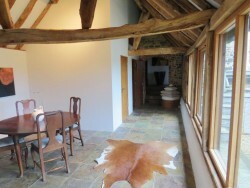 Available for a 3 - 6 month let, fully furnished. 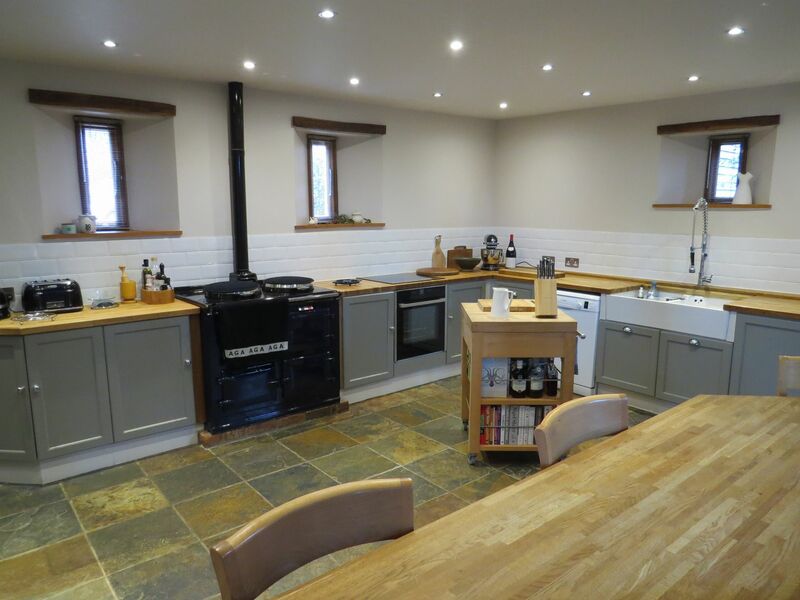 A gravelled driveway with pretty herb garden and plenty of parking space leads to the front entrance and into the modern kitchen which is fully equipped and benefits from an electric AGA and separate cooker/hob. 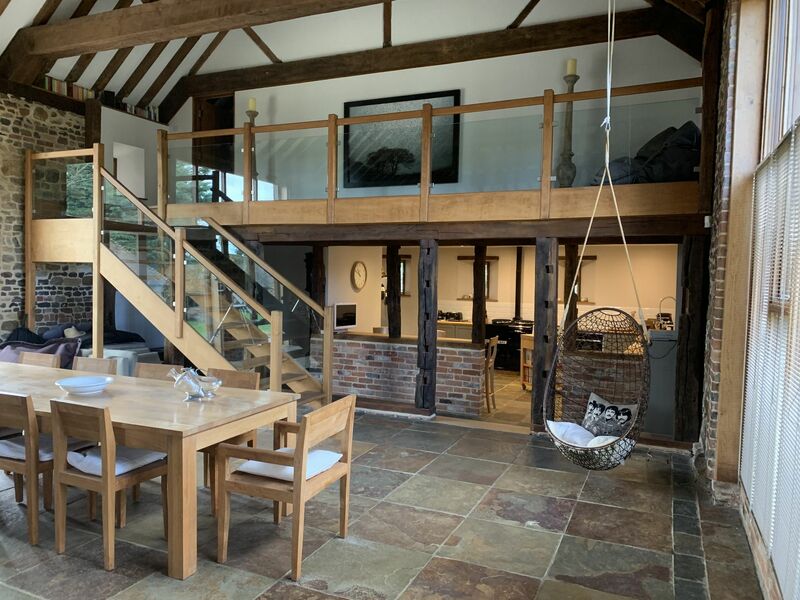 There is a breakfast bar which looks out over the extensive living/entertaining space accommodating a dining area with double doors on to the wooden deck, cosy sitting area with wood burner and study area with desk. 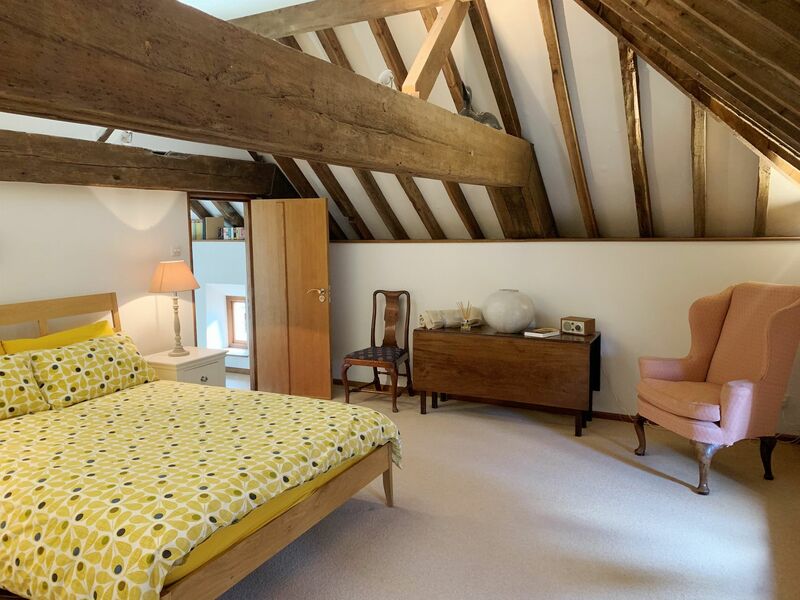 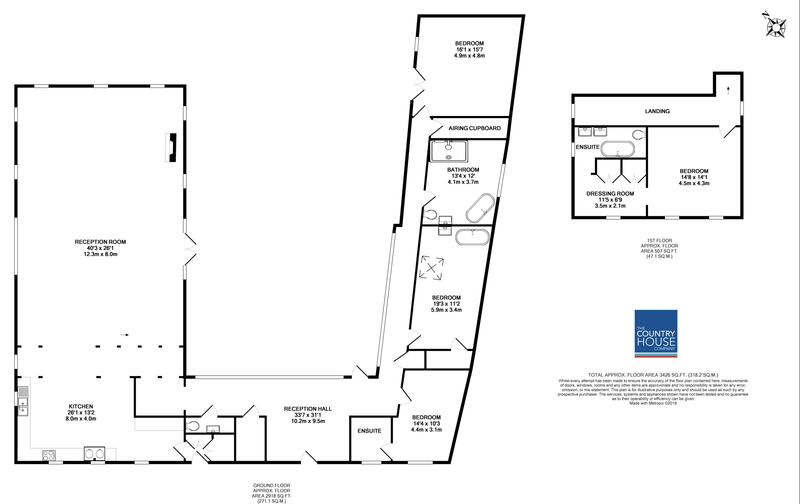 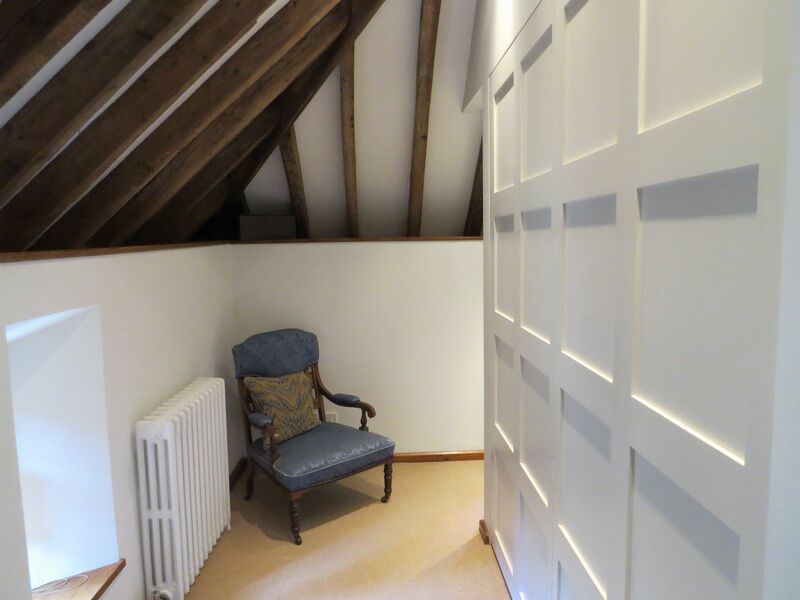 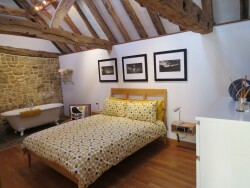 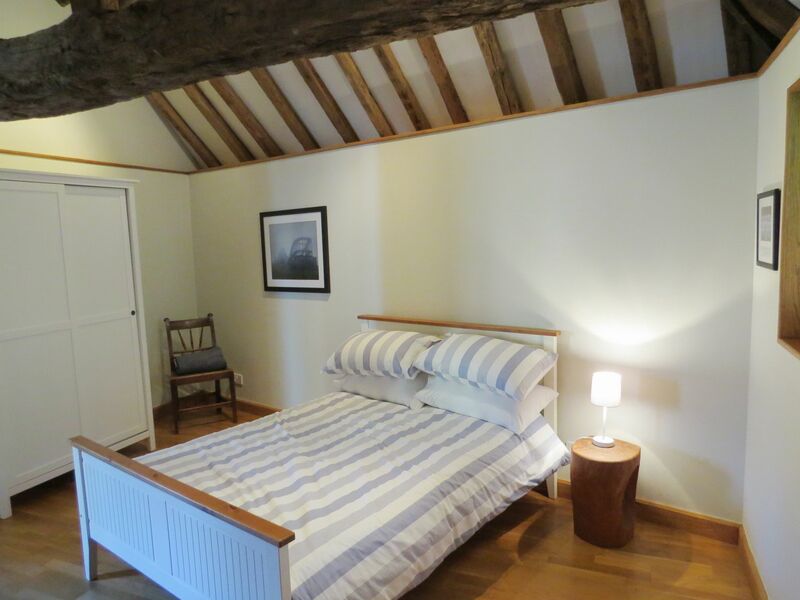 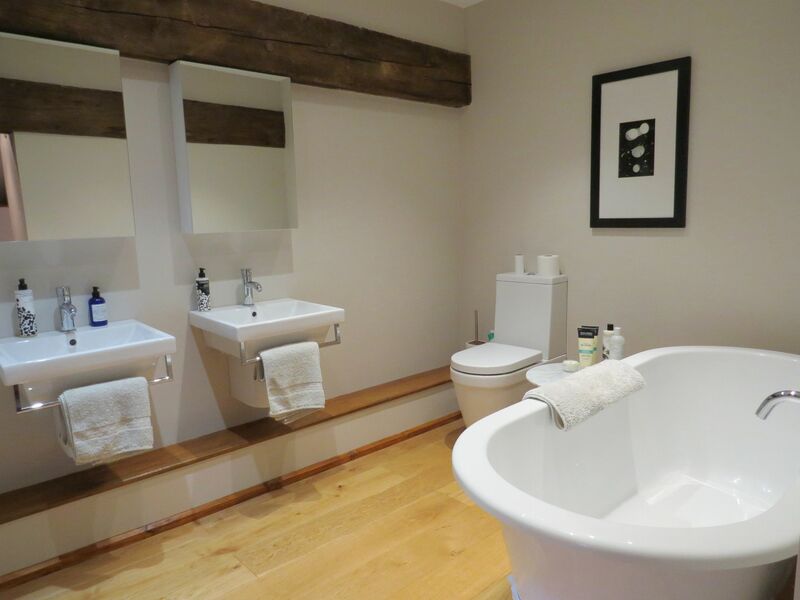 Above and overlooking the ground floor accommodation is a galleried mezzanine which leads to the master bedroom with dressing area and en suite bathroom. 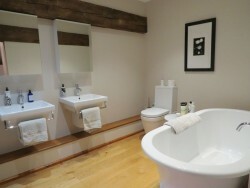 Back on the ground floor, forming the other two sides of the courtyard garden and accessed via a glass sided corridor overlooking the private garden, is a further dining/breakfast area, W.C., double bedroom with en suite bathroom, further double bedroom with stand alone bath, newly fitted family bathroom with large walk in shower and separate bath, laundry/airing room and a double bedroom with access to the garden via double doors. 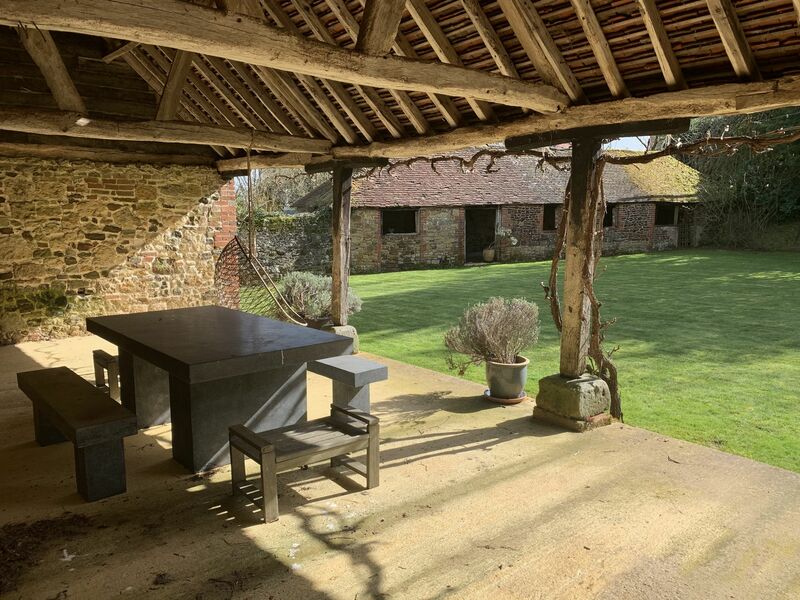 The courtyard garden comprises a wooden decked area with chairs/recliners and table, a beautiful open-fronted loggia with dining table and benches and gas BBQ leading on to a lawn. 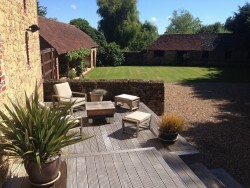 There is access from the lane in to this area via double gates providing optional secure parking. 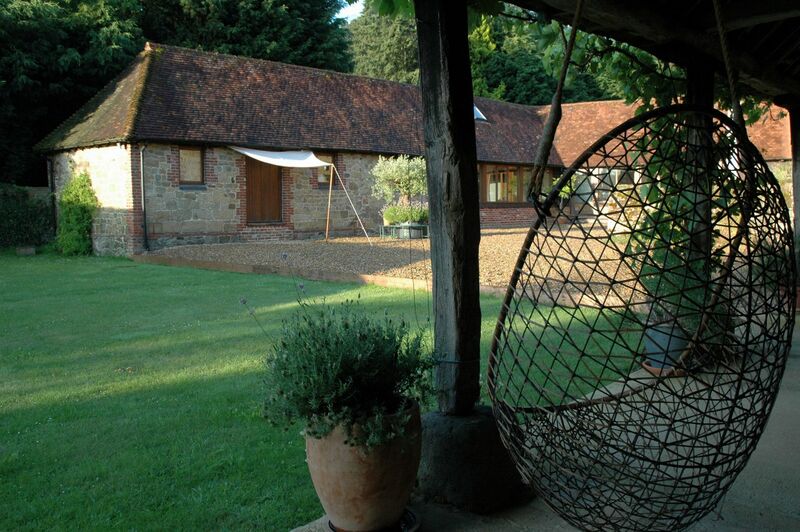 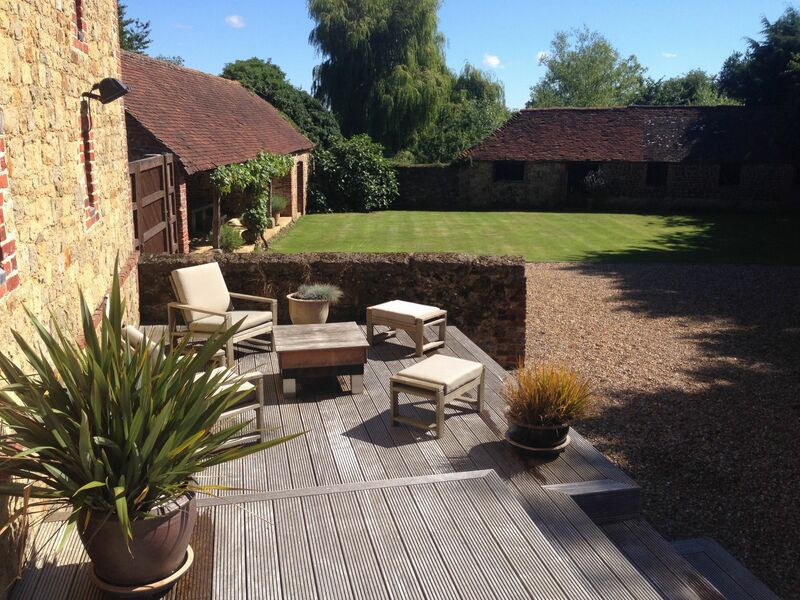 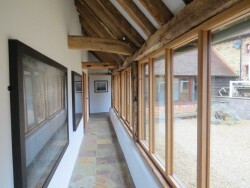 An ideal weekend/summer retreat or polo let.